Midnight house flood? Zinzola’s Emergency Plumbers Buffalo NY are standing by. Entirely FREE Estimates either over the phone or on premises written quote. Zinzola’s Buffalo Plumbers have over 40 Years Plumbing-Gas Experience. Family owned, personal service, meaning much lower overall costs for you!! Licensed, Bonded, & Insured Residential & Commercial plumbing services. Fast same or next day plumber Buffalo NY, and much of Western New York. Stopped up drains, frozen pipes, remodeling, we handle any Buffalo plumbing. Serving Buffalo since 1934 & Dedicated to absolute satisfaction of all our client’s. Zinzola Thanks You! Additional discounts are available for Buffalo Military Veterans. 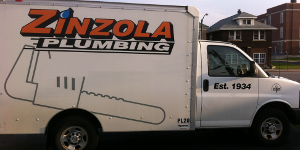 Zinzola Plumbing gladly accepts Visa/MasterCard/AMEX/Discover, cash, & checks. Zinzola Plumbing realizes that in the age of DIY television and YouTube videos there are a lot of things you can take care of yourselves when it comes to your plumbing. However, we also understand that there are also times when it is important to call in a professional plumber to help with the more difficult matters. Owner Master Plumber Tom Zinzola and the rest of Zinzola Plumbing is ready to take your call any time day or night, we are licensed, bonded and insured with more than 40 years of practical experience that makes us the best choice to make when deciding to call in a professional. When the time comes that you need to call in a professional, and that time will come, call a master plumber such as Zinzola Plumbing, who are available 24 hours/7 days a week. One who arrives on time, completes work efficiently, neatly, and at an affordable-fair price. Give our Plumbers Buffalo NY a call and we'll take care of everything, even if you are not a do it yourself type we're always on call for your plumbing needs. Zinzola has served Buffalo since 1934, let us be your 'go to pro'! It can be very confusing who's responsible for damaged sewer lines outside of your home. Generally the homeowner is responsible for the line until it meets the street. This means if that stately old tree you love so much in the front yard spreads its roots into the sewer line causing breakage or clogs in the line it is up to you to get it fixed. A few ways to know if you are having a problem with the sewer line could begin as simple as slow drainage, if you have tried having the lines snaked and it did not work, you are hearing gurgling noises in your home; and the last is a more obvious, and surly more upsetting clue, and that is parts of the yard being extremely soggy or there being a bad sewer smell in the area. The blockages could cause a build up of raw sewage or sewer gases and can be dangerous to try and fix on your own. This is not the type of thing you may want to try and take on by yourself it is best to call a qualified professional Buffalo Plumber who knows what to looking for in the first place and have all the modern tools to get the job done right. Call Zinzola Plumbing today! It may now be the 'New Buffalo' but many of us still have the same old plumbing problems. 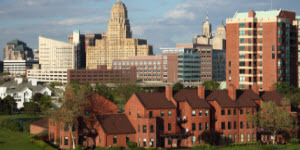 Zinzola's Plumbers Buffalo NY provide full service to all of Buffalo handling any plumbing needs. Whether a Homeowner, Landlord, Tenant or Business we are ready to take care of all your plumbing work. Sewer Line Cleaning/Repair, Camera/Video Inspections. Sump Pump Installation, Certified Backflow Prevention. Water Treatment/Softener Systems, Water Filtration. Bathroom & Kitchen Remodeling, New Construction. Frozen & Cracked Pipe Repair, Re-Pipes-Rough-Ins. Insta-Hots, Water Valves, Water Pressure Regulators. Garbage disposals, Sinks, Handicapped Tubs/Showers. Drain Cleaning, Hydro-Jetting, Repair, Re-Location. Kitchen and Bathroom Fixture Installation, Repair. 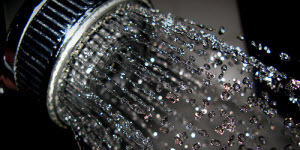 Water Heater Service and Repair, Boiler Servicing. Those are just a few of the jobs we can do for you but if you didn't see the service you need listed above you can look at our more detailed Services Page or give Zinzola Plumbing's qualified Buffalo Plumbers a call.